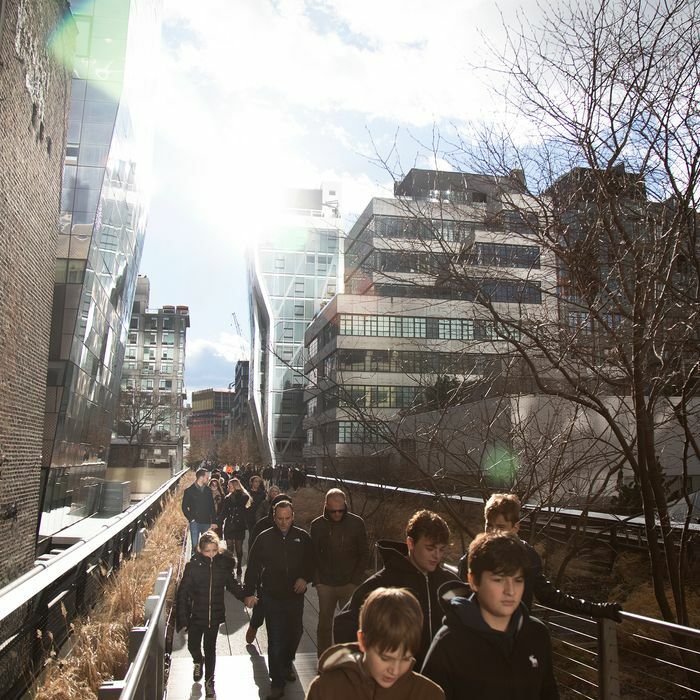 Today, the High Line serves as an elevated cattle chute for tourists, who shuffle from the Whitney to Hudson Yards, squeezed between high glass walls and luxury guard towers. The views are mostly gone, which is a good thing because stopping to admire one would cause a 16-pedestrian pileup. The rail-level traffic mirrors the congestion overhead, caused by construction so hellbent on milking New York’s waning real estate hyper-boom that any patch of land bigger than a tick’s front yard is considered suitable for luxury condos. Even before that first day, the seeds of the High Line’s destruction were already scattered among the new plantings. The park came to exist because a small coterie of activists believed they could transform an eyesore into an amenity. An abandoned delivery route for sides of beef, they argued, could become a kind of fast-acting yeast for real-estate prices. But even if you understood that a future of multimillion-dollar penthouses was baked into the park from the beginning, even if you foresaw that a neighborhood where lamb’s blood ran in the streets would attract architectural talent from all over the world, even if you understood that preserving an industrial relic would change the city all around it—even if all that was clear, you still would not have been prepared for today’s scrum of construction. New and still unfinished buildings crowd the length of the High Line like guests at a party where everyone is talking too loud, standing too close, and jockeying for attention, while nobody listens to anyone else. I started my latest reconnaissance mission at the northern end, and immediately came across two new chips off the crystalline monoliths of Hudson Yards. Avinash K. Malhotra Architects’ 507 West 28th Street rises up 420 feet, or 35 stories of glazed, pristine mediocrity. Right across the High Line is 515 West 29th Street (or “Five-One-Five,” as the marketing folks would have it), a glass fantasia designed by the Singapore-based architect Soo K. Chan. Like most of the condos in this strange rich person’s habitat, it functions as a real-world hookup app for voyeurs and exhibitionists: neighbors and passers-by can gawp back and forth at each other through 10-foot windows, though with only 15 plutocrat-ready apartments in the 11-story building, the chances of anyone’s actually being home to enjoy the fish-tank life are slim. The building, at once showy and generic, gets its lone scrap of distinctiveness from the wavy glass fins affixed to the outside, which give the curtain wall a certain aqueous chic. What makes those duds look even worse is their proximity to Zaha Hadid’s 520 West 28th Street, the lissome star that reduces all other attention-seekers on the High Line stage to the status of clumsy dilettantes. The L-shaped structure is banded in steel components that swerve, stretch, and glide like a goshawk in flight, all movement and muscle. Despite the design’s beauty and personality, there’s still something comically pretentious about a building that bills itself as live-in art, offering fanciness by association. When I pointed out that even the bathtubs face the High Line, because privacy is prudery these days, a spokesperson for the developer refused to confirm the obvious for a New York fact-checker because it didn’t conform to “the narrative for the building.” I presume the acceptable story line is: They slipped into the tub together, shared a flute of champagne and gazed out at the passing populace, which couldn’t see them at all. For the most part, though, the jostling architecture along the High Line expresses an aesthetic of self-absorbed preening. The area has become a social club for celebrity architects, who compete by pretending that their fellow members simply don’t exist. The first of Thomas Heatherwick’s matched set of condos (515 West 18th Street) is going up, and though it’s still just a concrete shell, you can just make out the bulging bays that will eventually resemble so many glass bubbles bursting through a masonry cage. Bjarke Ingels Group is erecting an even BIGger pair of towers, twisting and leaning towards each other above a whole city block. Every one of these designers invokes the neighborhood’s industrial history—the handsome brickwork and heavy hardware, anyway, though not the smell of offal, the clatter of freight trains, or the brutish labors of dockworkers. But the truth is, most architects who converge on this boulevard of covetous dreams care little about the past. 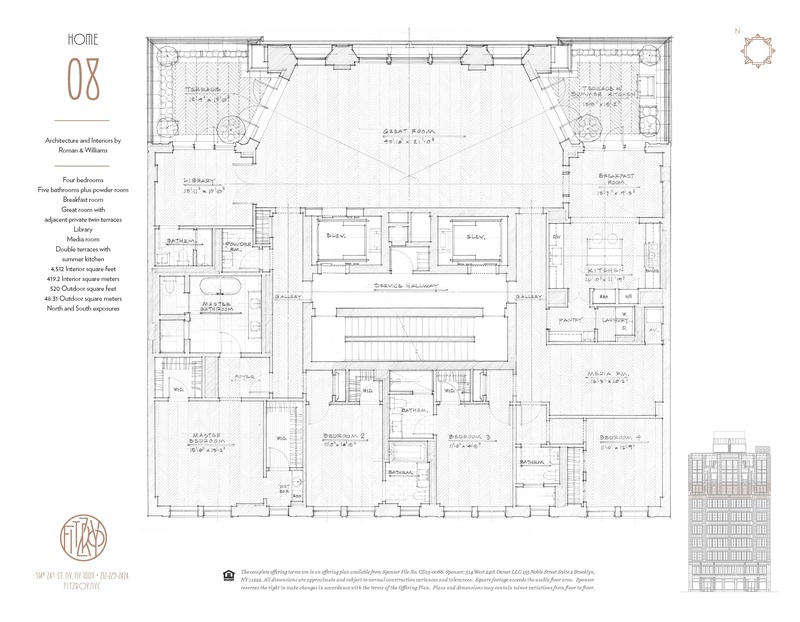 The context that counts is the park, the marketable glimpses of the Empire State Building or a wedge of water, and the presumptively fabulous existences unfolding among all the hardwood flooring, recessed lighting, and German appliances. Renderings of each new building discreetly edit out the others, as if each development existed in a becalmed post-industrial bubble of its own. A few new buildings seem resentful that a few old ones persist, selfishly hoarding square footage that could be profitably modernized. The bully at 500 West 25th, by the developer and architecture firm GDS, cantilevers menacingly over the shrimpy tenement that houses Marty’s Auto Body, as if willing it to scram. The rap on luxury development in New York is that it’s geared to absentee owners, who barely stop in for a shower on a layover between continents. But that may change. The Treasury Department has tightened rules for high-end, all-cash real estate purchases, aimed at preventing buyers from hiding their identities behind shell companies. Shady gajillionaires now have to slink off and launder their embezzled fortunes somewhere else, which could land some imperial apartments on the bargain table. And yet the odd thing about all the high-rises packed against the High Line is that even fully occupied they contain hardly any people. A full-floor apartment here, a triplex penthouse there and pretty soon you’ve got yourself a good-sized tower with just a half-dozen names on the buzzer. Like SUVs jamming a city street, the airborne congestion is mostly just expensive containers. The good news is that, come the revolution, all these new ultra-deluxe buildings stand ready to get chopped up into cramped one-bedrooms for hoi polloi.